Belize NMS: Moist and relatively unstable conditions prevail, but a slight reduction in moisture and instability expected during the next 24 hours. Advisories: Small craft caution for gusty winds and locally rough seas near showers and thunderstorms. 24-hour forecast: Mostly cloudy this morning and partly cloudy this afternoon and tonight. A few showers, thunderstorms and periods of rain will affect mainly northern areas this morning, inland areas this afternoon and coastal areas tonight. General Outlook: For Tuesday and Tuesday night is for cloudy spells with a few showers and isolated thunderstorms mainly over southern and some coastal areas. Daily Tropical Weather Outlook: Tropical cyclone formation is not expected in the North Atlantic, the Caribbean Sea or the Gulf of Mexico during the next 48 hours. Today E 5-15 kts Choppy-Rough 3-7 ft A few showers and thunderstorms, mainly north, decreasing. Tonight E 10-20 kts Moderate-Rough 4-7 ft A few showers and thunderstorms. 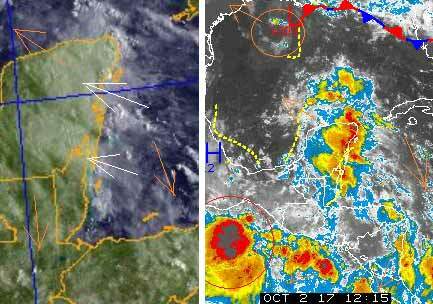 Tomorrow E 10-20 kts Moderate 4-6 ft A few showers and isolated thunderstorms, mainly north, decreasing. Outlook E 10-20 kts Choppy-Moderate 3-5 ft A few showers and isolated thunderstorms. Noisier than before ...... dogs are nervous! 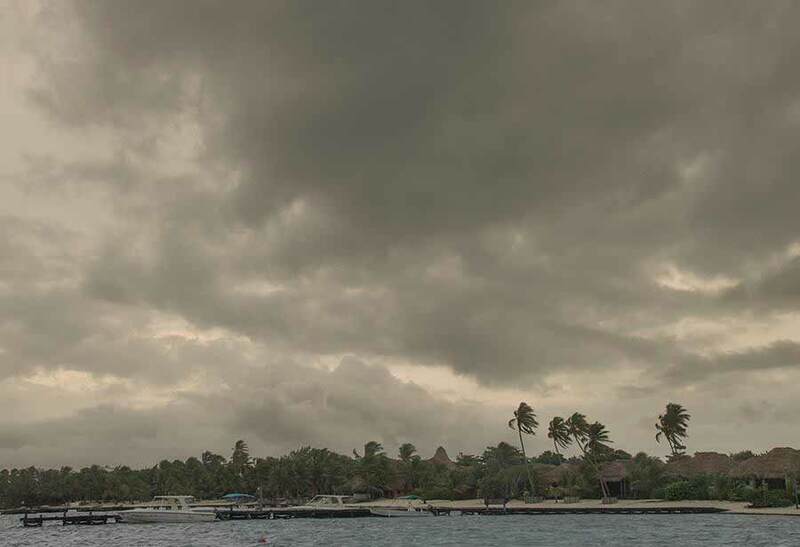 On Ambergris Caye this morning we have a thunderstorm and rain with an ESE wind at 10 mph. The expected high is 87. 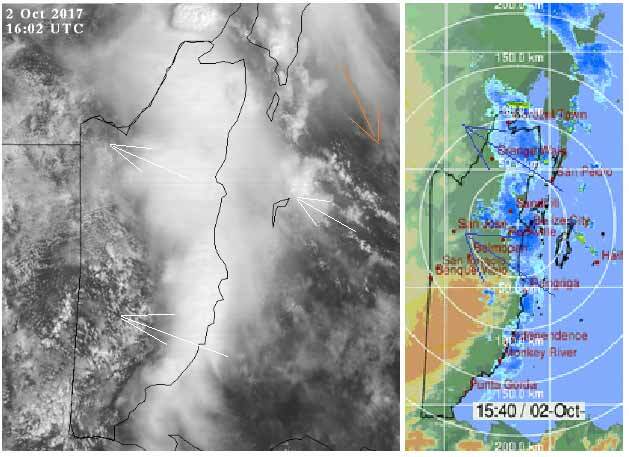 Very complex weather in our area, looks like at least 4 different levels of air movement. 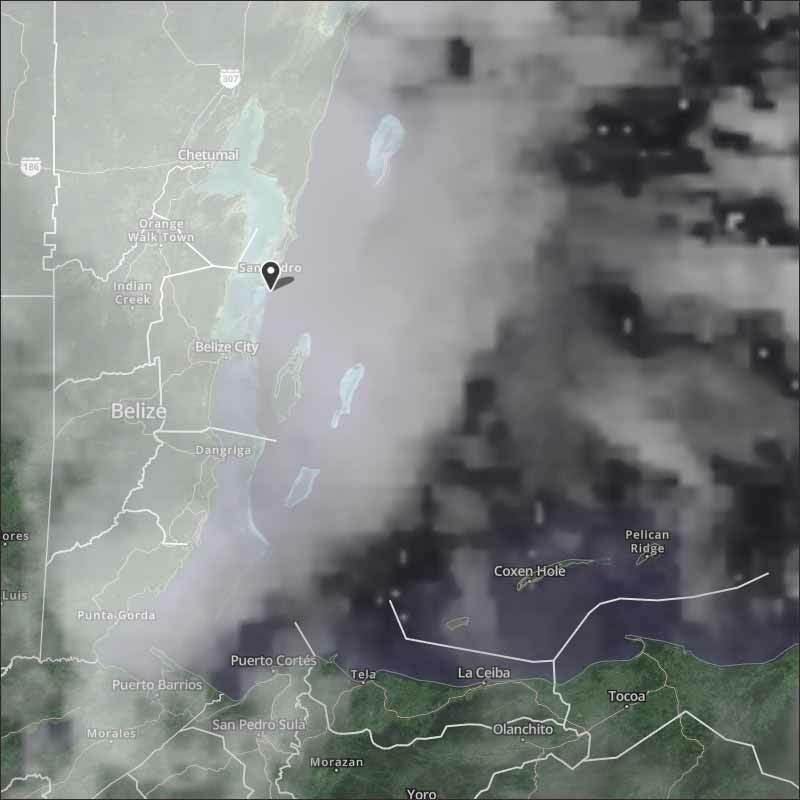 There was a very significant ITCZ swell-up over east, central and northern Belize during the night, I measured 7.2mm ( 1/4" ) of rain, that has now cleared to the north. But new swell-ups are developing at sea, all along the Belize coast right now. 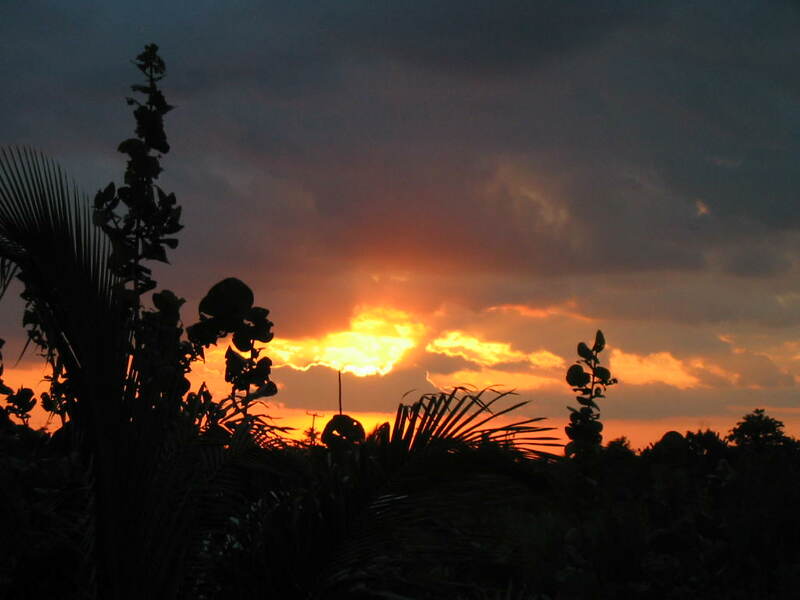 High cloud is moving in many directions, down across the Caribbean and up across the Gulf. There is a large, very significant ITCZ developing in the Pacific, which might develop into a Storm, but it won't directly effect us. That rotation I saw up in the Gulf, is still there and moving towards Texas, they have now identified it as a "L"ow pressure area, not much, if any rain with it. Looks like today is going to be very mixed, mainly cloud, possible some sun, could be rain at any time in any part of Belize, possible ITCZ swell-ups this afternoon. Those off shore swell-ups this morning are now bringing rain into Belize. The are coming in with the ESE Caribbean wind. Belize radar finally working again. People ask me "When is your rainy season?" I usually answer - "October".